Once upon a time, there was a magical age called “the 1990s,” a carefree era when the North American population didn’t have a whole lot to worry about. Our national disposition hadn’t yet sunk into the cynical conformity of the 2000s yet, and we seemed more open to accepting other people’s ways of life, no matter how outlandish it might have been. I’ve always thought that one of the best encapsulations of this era was found in the music that SEGA squeezed into its games. Some of these tunes were utterly ridiculous, and yet, you’d have to be a stone-faced Golem, or a jaded millennial for that matter, to not crack a smile at some of the tracks that SEGA and its composers produced. Tacky, unrelenting, and so much fun, this was back before we were indoctrinated to take games so seriously. I just want to talk about two of them today. The first comes to us from Jun Senoue, a longtime SEGA composer who has worked on many Sonic the Hedgehog games with the aid of the band Crush 40, of which he is also the lead guitarist. 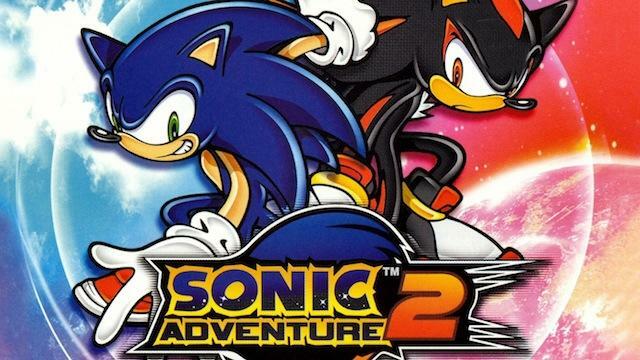 There isn’t a tune from the 3D Sonic the Hedgehog games that fans universally love more than “Escape from the City” from Sonic Adventure 2. Sure, the game came out in June 2001, but that still happened before certain events changed our national outlook later that year. This is the prime example of early-2000’s rock that plays in the background if you can imagine. I can’t think of a scene that better captures the pop culture at the time. “Escape from the City” is an inspirational song from a time when the future was as bright as the stars, and it was designed to get you pumped for good times ahead and hitting that extra bit of speed. The Dreamcast was one of the first consoles which allowed for such quality musical streaming, and SEGA took full advantage. Senoue is still with SEGA and still makes music for Sonic the Hedgehog, mostly the Mario & Sonic Olympics games, but he’s never quite hit this high. Some tunes he’s made for other games have come close, but only this one ranks as a true legend. Even his music started to shift with the attitude of the world when he wrote the music for Shadow the Hedgehog, a game that tossed black paint on its popular mascot, gave him a mean-streak, and, yes, a handgun. I don’t blame him because his music is still fine, and more importantly, it fit the bleak game it was made for. Our second track comes from Takenobu Mitsuyoshi on his debut soundtrack with SEGA in Daytona USA. This excellent racing game came to us in 1993, so we’re talking a bit earlier than Sonic Adventure 2, but it acts as a good bookmark to kick off this carefree time period I’m referring to. Arcades were able to cram lyrics into their games music sooner than consoles were, so it was a pure dream-come-true hearing this coming from a game that early in history. Just… give this a listen. The joy of this song isn’t in the lyrics but rather in the passion of the man singing it. It’s pure escapism at its finest. If you could sing this theme at the top of your voice in a public area, I would be impressed. Mitsuyoshi not only composed the entire soundtrack, he also provided the vocals, obviously pouring his entire soul and ability into each song. It landed him a job working on many more SEGA arcades throughout his career, and he eventually landed himself as the top dog of Shenmue’s unforgettable tunes. Just watch this guy perform! This is the point where I plead to SEGA, especially to these two men. I know you still have it in you! SEGA needs a hit that can capture the post-Genesis days, when it could really get experimental with the power of CDs and just not give a flying turtle wax about the opinions of the smug and jaded among us. When that game comes out, SEGA still has the two best guys to compose it as well. The late 90s are hitting their 20-year nostalgia stride, and I think the world could use some of your happy attitude from that era right about now. SEGA’s not the only one, either. I’m looking at you, Bandai Namco. You have a corny streak from that time period that makes me grin from cheek to cheek as well.